Virginias in different cut and color, Black Cavendish. What a wonderful pouch aroma! It's sweet, and yet not overwhelming so. I could spend hours admiring the incredible array of color: From bright yellow, through green, red and brown, all the way to jet black. The cuts are also a nice blend of long and short, thin and wide. 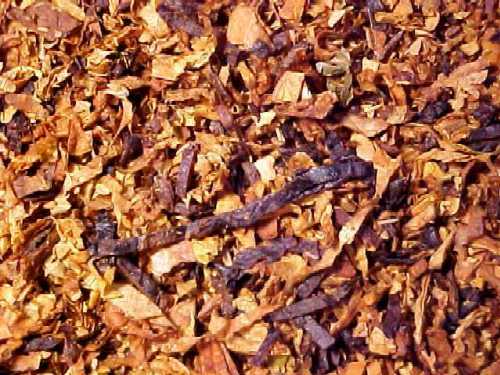 Like the rest of Schürch's flavored tobaccos, the tobaccos used are of extremely high quality, and the flavor is not meant to hide or obscure the natural taste of the tobacco; it is evident also in the fact that you smoke and enjoy it till the very last shred of tobacco. I find it a bit salty, spicy, and of course, sweet. It's also amazingly consistent throughout. The room aroma is due to bring you endless compliments. Several Virginias, RR Flake, Burley and sweet Black Cavendish. 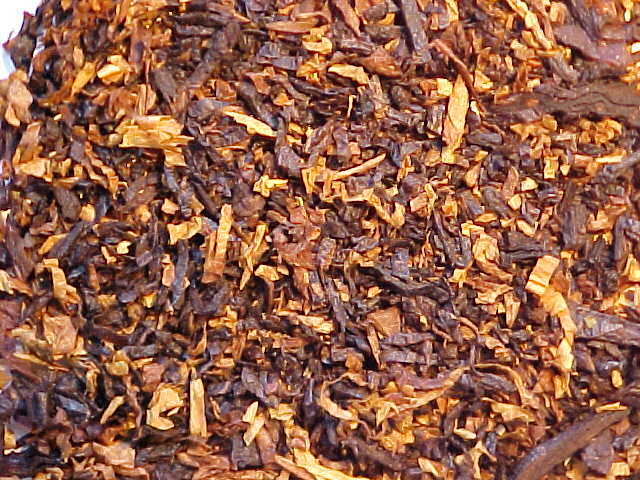 This is our best selling flavored tobacco. It's the most heavily flavored mixture Hans makes. Besides vanilla, it has an intriguing taste and aroma of "cloves". If you're into more pronounced flavors, this mixture is for you.